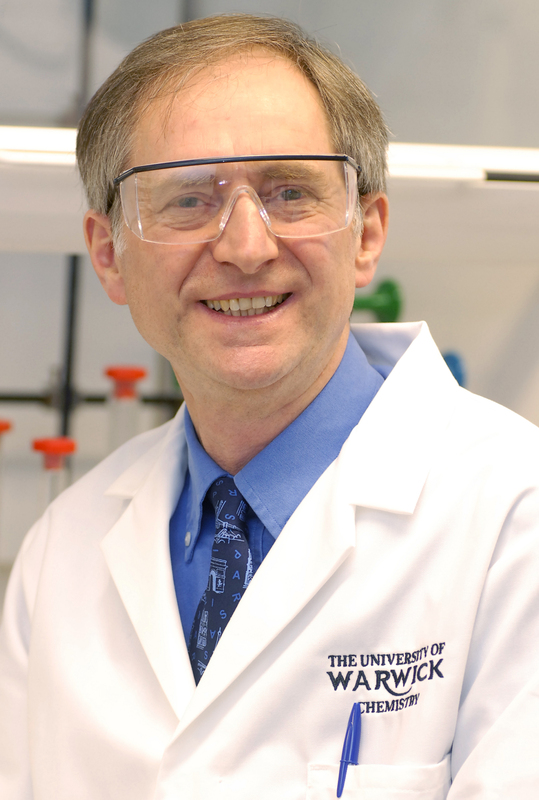 Researchers from the Professor Sadler and Professor O’Connor groups in Warwick’s Department of Chemistry and Professor Hui Chao's group at Sun Yat-Sen have demonstrated that iridium – the world’s second densest metal – can be used to kill cancer cells by filling them with deadly version of oxygen, without harming healthy tissue. The researchers created a compound of iridium and organic material, which can be directly targeted towards cancerous cells, transferring energy to the cells to turn the oxygen (O2) inside them into singlet oxygen, which is poisonous and kills the cell - without harming any healthy tissue. The process is triggered by shining visible laser light through the skin onto the cancerous area – this reaches the light-reactive coating of the compound, and activates the metal to start filling the cancer with singlet oxygen. The researchers found that after attacking a model tumour of lung cancer cells, grown by the researchers in the laboratory to form a tumour-like sphere, with red laser light (which can penetrate deeply through the skin), the activated organic-iridium compound had penetrated and infused into every layer of the tumour to kill it – demonstrating how effective and far-reaching this treatment is. Furthermore, the researchers used state-of-the-art ultra-high resolution mass spectrometry to gain an unprecedented view of the individual proteins within the cancer cells – allowing them to determine precisely which proteins are attacked by the organic-iridium compound. After vigorously analysing huge amounts of data - thousands of proteins from the model cancer cells, they concluded that the iridium compound had damaged the proteins for heat shock stress, and glucose metabolism, both known as key molecules in cancer. The University of Warwick has the UK’s most advanced laboratory for this type of highly advanced mass spectrometry, and is a world-class centre of analytical science. “The precious metal platinum is already used in more than 50% of cancer chemotherapies. The potential of other precious metals such as iridium to provide new targeted drugs which attack cancer cells in completely new ways and combat resistance, and which can be used safely with the minimum of side-effects, is now being explored. Photochemotherapy – using laser light to target cancer – is fast emerging as a viable, effective and non-invasive treatment. Patients are becoming increasingly resistant to traditional therapies, so it is vital to establish new pathways like this for fighting the disease. Iridium was first discovered in 1803, and its name comes from the Latin for ‘rainbow’. From the same family as platinum, it is hard, brittle, and is the world’s most corrosion-resistant metal. Yellow in colour, its melting point is more than 2400° Celsius. 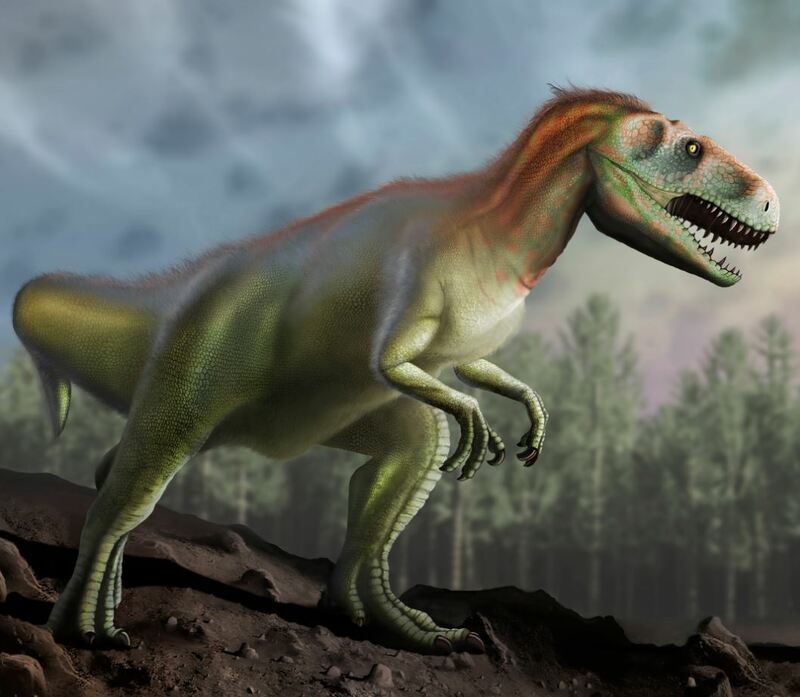 The metal is rare on Earth, but is abundant in meteoroids – and large amounts of iridium have been discovered in the Earth’s crust from around 66 million years ago, leading to the theory that it came to this planet with an asteroid which caused the extinction of the dinosaurs. 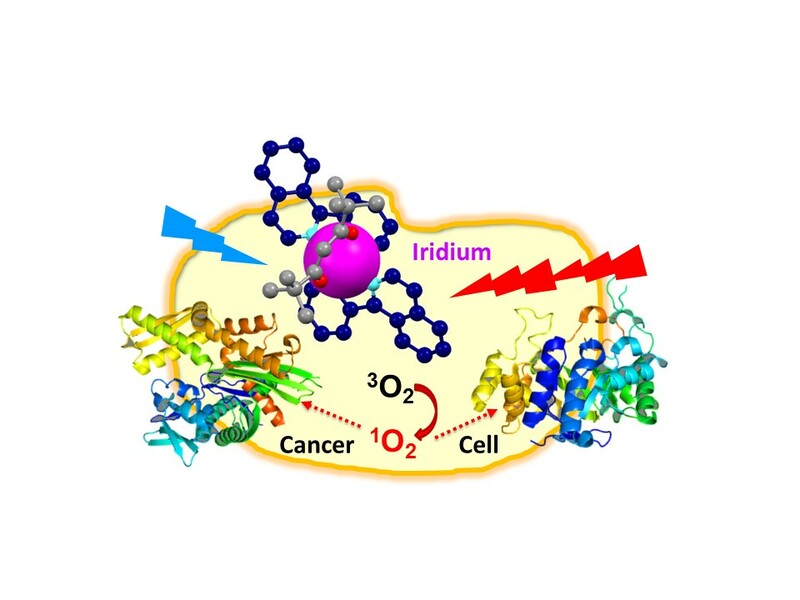 Distinguished as a ‘Very Important Paper’, the research, ‘Organo-iridium photosensitizers can induce specific oxidative attack on proteins in cancer cells’ is published in the Wiley journal Angewandte Chemie. Read full paper here (open access).